In brief: Weezer (Black Album) released on Friday, but Fortnite fans have been getting a preview of the record since Season 8's launch Thursday. The band has an island in the game's Creative Mode that is like an amusement park with a Weezer soundtrack. It is unclear whether the island will be featured on The Block, but it’s a pretty good bet that it will. Considering the fact that Weezer World launched with Season 8 on Thursday, and features a custom soundtrack, it would appear the band has received cooperation from Epic. 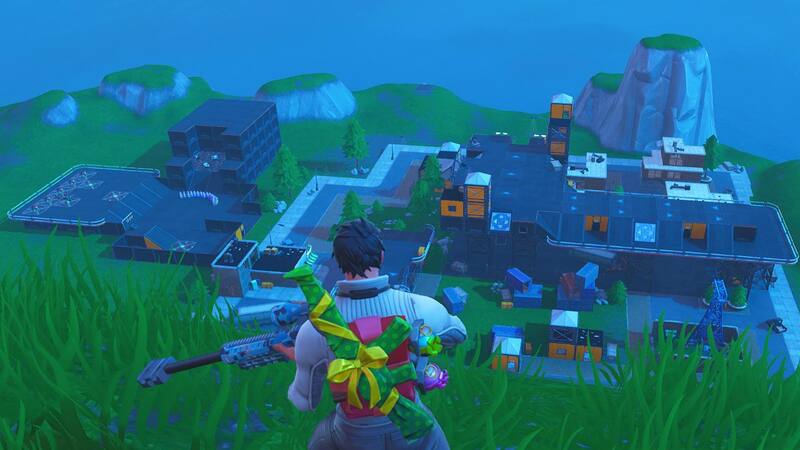 Custom soundtracks are not a thing in Fortnite Creative, so some (and maybe all) of the island was built with the help of developers. The move is clearly a promotion for Weezer’s new album and targeting Fortnite might be a good way to earn new listeners. Weezer hit it big in the 1990s. Some of the band’s original fans potentially have grandkids playing Fortnite now. If you are a Fortnite player and want to "try before you buy," swing by Weezer World in-game and give the Black Album a listen.